"Soils host at least one quarter of the world’s biodiversity. They are key in the carbon cycle. They help us to mitigate and adapt to climate change. They play a role in water management and in improving resilience to floods and droughts." Today, our soils are tired, overworked, depleted, sick and poisoned by synthetic chemicals. Malnutrition begins with the soil. Minerals in the soil control the metabolism of cells in plant, animal and man. If soil is deficient in trace elements, food and water will be equally deficient. 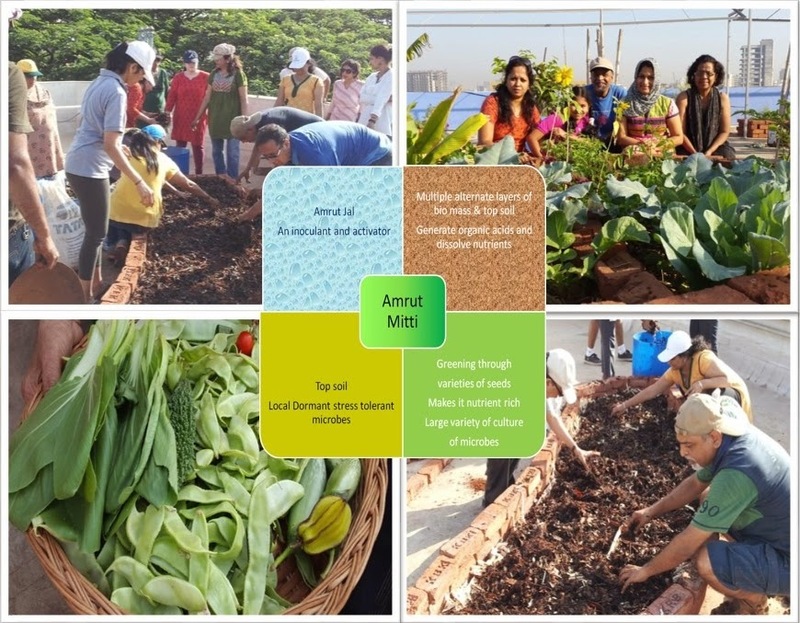 Right from their inception, the main focus of the Urban Leaves Community-farms has been the making of Amrut Mitti: a nutrient-rich soil high in microbial life. We spend hours on building this soil lovingly on our rooftops - collecting biomass from our neighboring areas (which would otherwise be burnt away), hunting for cow dung and urine in this mega city, and holding hands and dancing on the Amrut Mitti heaps and discovering the slow magic of it turning into gold, teeming with a whole new universe of micro-organisms. This year, we plan to make and teach the technique to as many who care and wish to learn. Come and join us for a day’s Workshop on “Amrut Mitti and its use in City-farming”. The contribution is inclusive of healthy vegan cuisine served for breakfast and lunch, prepared generously by our Seva cafe team.